It has been my desire that I would like to contribute something “visible” to the world and my dream came true (at least to some extent). 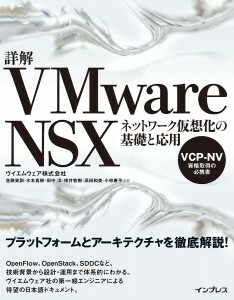 I am pleased to announce that I wrote a book about VMware NSX with a couple of my colleagues, which can be found here. This is not a translation of an existing book, instead it is written from scratch. We apology that this books is available only in Japanese for the time being, while we are getting several requests outside Japan for the translation of this book into other languages. We are not certain if such a work will take place, but we do hope it will. That said, you can purchase it today from www.amazon.co.jp (sorry it is not available on www.amazon.com) if you’re interested. among which I was responsible for the first half of Chapter 05 and some columns. While I have contributed many articles to magazines and books in the past, it was the first time for me that my name was explicitly listed as authors, so it was a profound experience. What drove us to publish this book was the experiences in our day to day activities. Because network virtualization is a relatively new concept, we’ve often come across a situation where people don’t understand it very well or even misunderstand it sometimes. 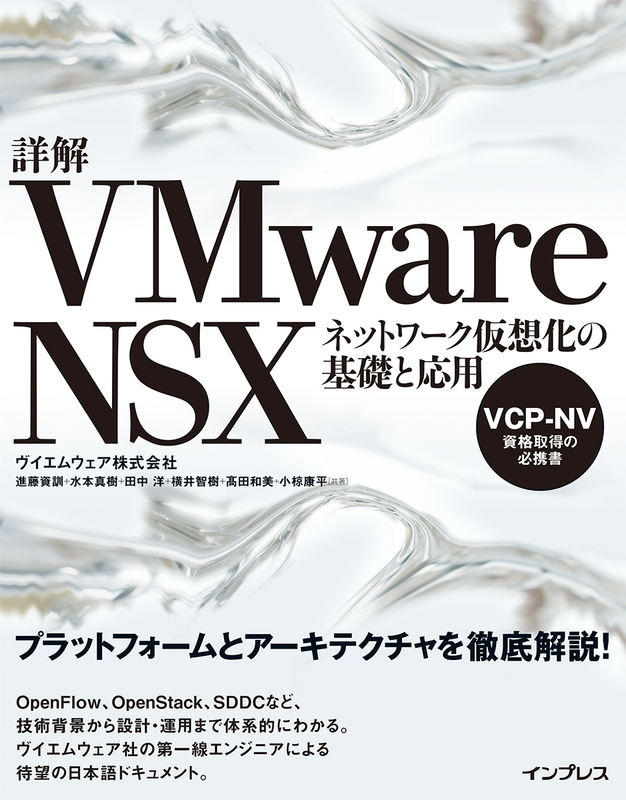 In a sense it was our fault because we haven’t been able to provide enough information about NSX publicly particularly in Japan market. To change this situation the best way we thought was to write a book about NSX and we made it! It was not an easy journey though. It was almost an year ago when we first came up with an idea to write this book and we had many chances to give it up. I would like to say thank you for all co-authors (i.e. Mizumoto-san, Tanaka-san, Yokoi-san, Takata-san and Ogura-san) for their efforts that made this book available at vForum Tokyo 2014, which was tough I know. I am also very thankful to Mr. Maruyama (Hecula Inc.) and Mr. Hatanaka (Impress Inc.) for their night and day devotion for editing this book. Publishing the book is not our goal. We hope that this book helps people understand network virtualization better and get more traction on NSX.